The coated paper also calls art paper. It is a kind of paper which coated mixture materials on paper both sides. It is one of the highest quality printing papers and they are used for color books, catalogs, brochures and calendars. According to the coated paper surface, it includes gloss coated and matte coated. 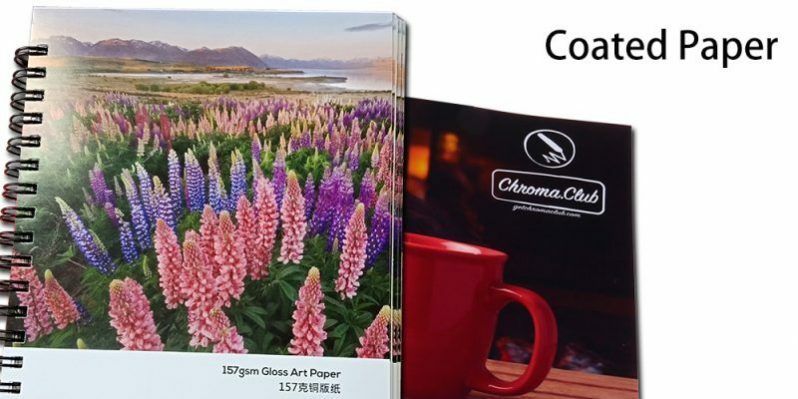 In common, we call gloss coated paper with gloss art paper and matte coated paper with matte art paper. The coated paper also includes different weight paper. We have 80gsm, 105gsm, 128gsm, 157gsm, 200gsm, 250gsm, 300gsm gloss art paper and matte art paper. We also have 350gsm gloss art paper. The coated paper is good printing color photos. Because coated paper is less ink absorbency. The coated paper is not good for writing. We provide free paper sample manual. The manual includes all paper samples we have in our stock. If you need, please contact with our expert right now!